When I first started out in the weight room a decade ago, I didn’t have a clue what I was doing. I knew I wanted to get stronger, both to boost my swimming performance and also, more fundamentally, to improve the efficiency of my day-to-day movement. Questions overflowed, however. Was it even safe for me, an above-knee amputee, to resistance train? Should I keep my prosthetic leg on, or would it just get it in the way? If I did take it off and trained unilaterally, was I only exacerbating my pre-existing strength asymmetry? Not even my physical therapists knew how to help. Desperate for answers, I turned to the Web. I found dozens of resources, from powerlifting all the way to yogalates. You name a modality, and somebody was researching it and writing about it. The consensus among fitness experts seemed to be that squats, pulls, presses, and other multi-joint movements should form the basis of a sound training program. But still no tips for what to do if you’re missing one or more of the joints that comprise that ‘multi-’. What I did discover was that I wasn’t the only one with questions. Every eager amputee faces a similar conundrum. Fresh out of physical therapy following amputation, we’re prescribed these state-of-the-art prostheses: bionic ankle-feet for everyday wear, flex feet for sports. But then what? 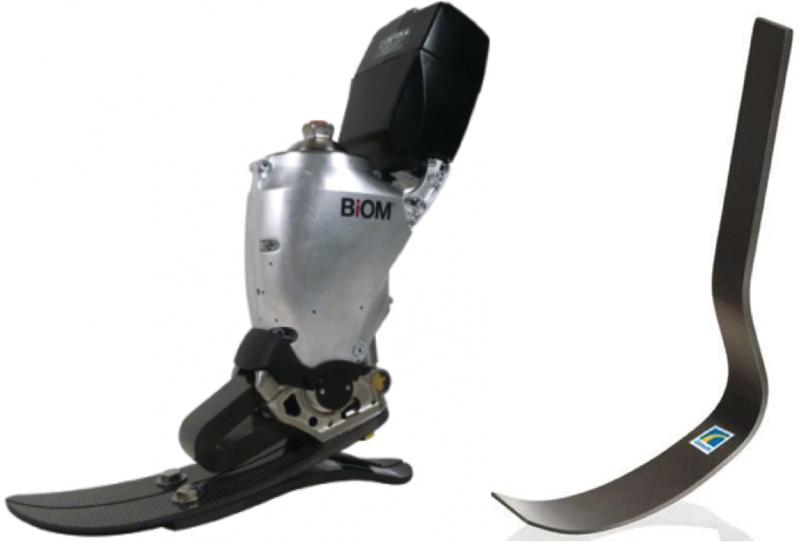 The goal, of course, is to get the absolute most out of our assistive devices. Except the prostheses don’t exactly come with how-to manuals. Despite the overabundance of information on the Internet, the particulars of resistance training for amputees beyond basic physical therapy are still practically nonexistent. Researchers and clinicians just aren’t racing to put heavy weights in their patients’ hands and on their backs. How, then, do we amputees learn to mold our bodies for peak performance? To our good fortune, popular media coverage of adaptive athletes has enjoyed a surge of late. Look no further than the cover of Men’s Health for the 2014 Ultimate Health Guy, Noah Galloway. 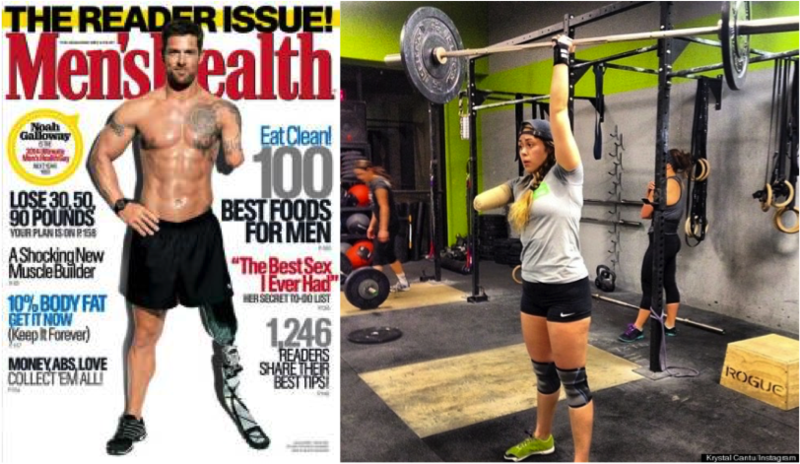 Or check out the Huffington Post article on one-armed CrossFitter KrystalCantu. Both are incredible examples of adaptive athletes performing at elite levels. How do they do it? Almost undoubtedly through trial and error, experimenting with different training techniques and adaptations, pushing their limits each and every workout. While there’s certainly no shortcut for hard work, I do envision a way to expedite the process: a training resource that would detail both the successes and setbacks of dozens of diverse adaptive athletes just like Noah and Krystal. As a matter of fact, a few months ago I took it upon myself to begin building such a resource, using myself as the first test subject. The results of this endeavor can be found HERE. To my delight, in just the few months since the article has been up, I've received messages from amputees around the world telling me how the article is exactly what they'd long been searching for. To continue to build upon this work, I envision a biomechanics lab setup in which we assess the 3D motion of world-class adaptive athletes. Outfitted in retroreflective markers atop force plates, athletes would run, jump, squat, and throw in their own unique, adaptive ways. We would then analyze their movements, compare to a database of typical subjects, and determine the efficacy and long-term safety of their adaptations. From this exploration, we could then generate a vast video and instructional library of movements by adaptive athletes, for adaptive athletes. 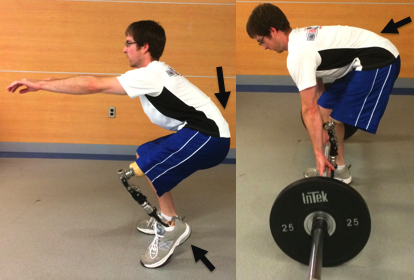 For instance, I might demonstrate box squats and elevated deadlifts, exercise variations that enable me to develop bilateral hip extension strength with my prosthesis on. I toiled away for years to find the adaptations that best suited my body; aspiring athletes could bypass that onerous process entirely. In partnership with I Am Adaptive and the University of Delaware's BADER Consortium, we can continue Bridging Advanced Developments for Exceptional Rehabilitation right into the realm of post-rehab performance training and beyond. We can curtail the isolated experimentation and unanswered questions that pervade the young field of adaptive performance training. We can turn scattered anecdotal successes into centrally-located, scientifically-based solutions for adaptive athletes the world over. This is my adaptive mission. Guest Post: Core Training: Fact or Fiction?